All-new KTM duke is teased on its microsite and it’s very much close to its unveil at EICMA on 8th of Nov. 2017 Duke 390 will be completely unveiled at EICMA this month. Internationally famous the Duke 390 will get its new updated MY17 version with plenty of changes. Styling wise it is updated from its higher sibling, the super Duke and same aggression is followed in 2017 Duke 390. Overall the bike will get sharper and maintain its compactness in the design. The major visible changes are, side mounted exhaust and new sharper LED headlamps. The instrument cluster is now full LCD panel with plenty of information in a colourful way. 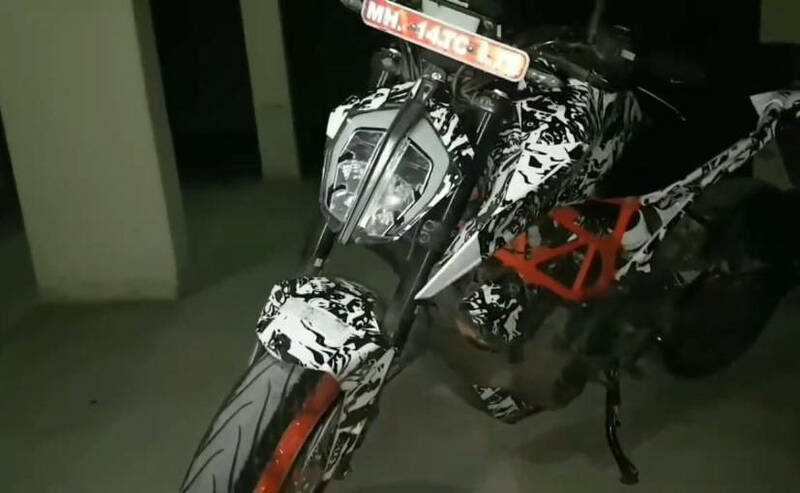 The new duke 390 has been spotted many times in India as well as outside India. Mechanically the new Duke will get separate functioning forks at front mounted on the more rigid frame. One fork will handle damping while other will handle the rebound. The bike will maintain twin channel ABS and also expected to get a traction control module. The power plant will remain same capacity of 373cc with more refinement and tuned for better efficiency with a bit of power bump. Features like ride by wire, slipper clutch will remain like current Duke 390. Another update will be the Michelin sourced tires instead of Metzellers.